[caption id="attachment_439" align="aligncenter" caption="Holiday decorations at the Pillar & Post"] [/caption] Every Christmas we used to be like hamsters running flat out on one of those wheels. His mother would want us to spend Christmas with his family. My mother would want the same. Our holidays were one big blur. We'd entertain his family with a Christmas Eve dinner and gift exchange, then stay up into the wee hours cleaning up before heading out at some ungodly hour to make it to my family's Christmas gift-opening. Then one year I got smart and told my husband, “That's it, no more. 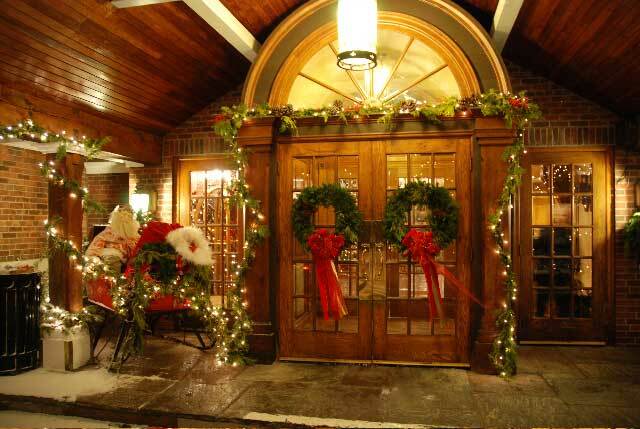 Let's make this easy for ourselves and start to truly enjoy our families and the holidays.” Now we book dinner for everybody at a fabulous country inn. And you know what, everyone loves it. No dishes, no cooking, not even any Christmas shopping to speak of. Just great conversation, good food and fine wine. So, if you're the 'old us' trying to keep everyone happy during the holiday season, here's some ideas to inspire you to try something new. Check back often. We'll be posting more over the coming weeks: [caption id="attachment_440" align="alignright" caption="Beeton’s Book of Household Management"] [/caption] Calling all foodies! 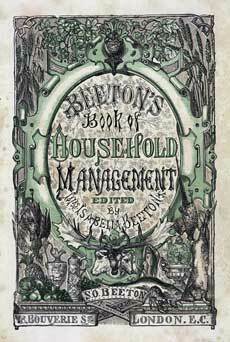 Isabella Mary Beeton was a contemporary of Charles Dickens and the author of "Mrs. Beeton's Book of Household Management". One of the famous cookery writers of the Victorian era, Mrs. Beeton's recipes are the inspiration behind a Dickens Dinner to be held at the Idlewyld Inn in London, Ontario on Sunday, December 6th. Intriguiing dishes like Mulligatawny Soup from the days of the British Raj and Nesselrode Pudding, a frozen pudding with ground chestnuts, candied fruit and liqueur will be served at the six course dinner. There will be readings by Charles Dickens and carolers too. Two seatings are planned for 5:30pm and 8pm. $65 per person. To reserve, call the Idlewyld Inn at 519-433-2891. If you're looking for a storybook setting to celebrate, Niagara-on-the-Lake is about as picturesque as it gets. You won't find the golden arches in this architecturally pleasing town. Home to the Shaw Theatre Festival, this historic town's buildings are beautifully decorated and strolling carolers are known to take to the streets during the holidays. At the town's Pillar & Post inn, a former Niagara fruit cannery, they've put together an Icewine Lovers Getaway. Available until the end of February, it includes a three-course dinner and full breakfast in the inn's Cannery restaurant as well as a night of accommodation. If you book mid-week, it is priced at $143 per person, double occupancy. Weekend rates run from $163 per person, double occupancy. Since the 1880s, the Stanton family at Bayview Wildwood Resort has been involved in the business of travel in Ontario. So you might say they've figured out what makes a resort family Christmas truly special. Just 90 minutes north of Toronto on Sparrow Lake, this classic lakefront resort is a picture postcard setting. In winter, skating, snowshoeing and tobogganing are all popular and it's not unusual to see families face off in a lively game of broomball too. Traditional horse-drawn sleigh rides always draw a crowd, and for the young fry, a popular entertainer hosts a special Christmas Eve family music revue which culminates with a visitor from you-know-who. Besides an indoor pool and whirlpool, the Bayview Wildwood has its own squash courts to work off all the good food. A three-night family package running from December 24-27th includes eight full meals, supervised children's programs, evening entertainment and all the fun you can manage. Priced from $354 to $441 per person, double occupancy. One child stays for free. 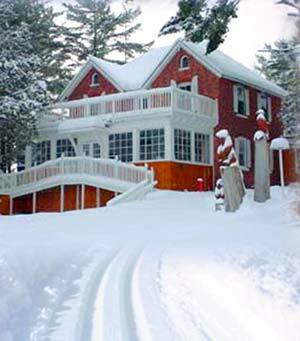 [caption id="attachment_441" align="alignright" caption="The Shamrock Lodge"] [/caption] Finally, for all you sledders looking for a place to park your special "sleigh" Muskoka's Shamrock Lodge in Port Carling is an affordable choice if you're looking for somewhere to head during Christmas week. Open from December 27th, this cozy lakeside lodge has easy access to OFSC trails. There's also homecooked country meals, a floodlit skating rink, Hot Stove Lounge and games room with billiards, and indoor pool, hot tub and sauna. Call for rates which include most meals and box lunches for the trails.